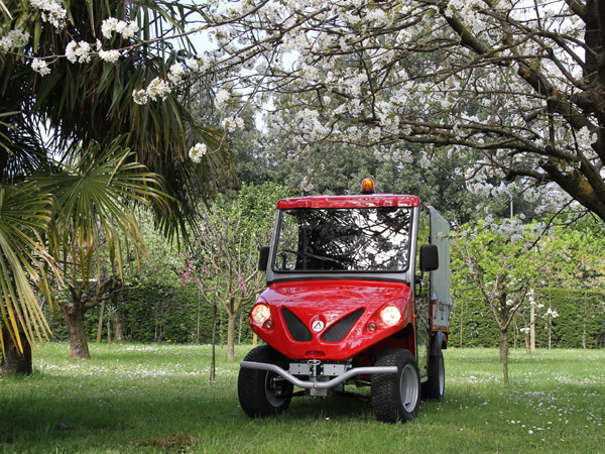 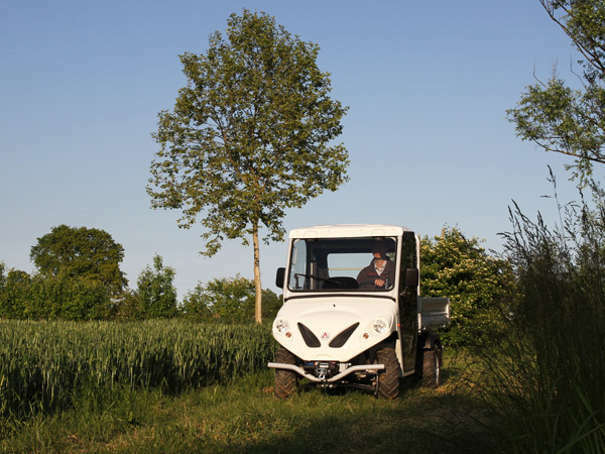 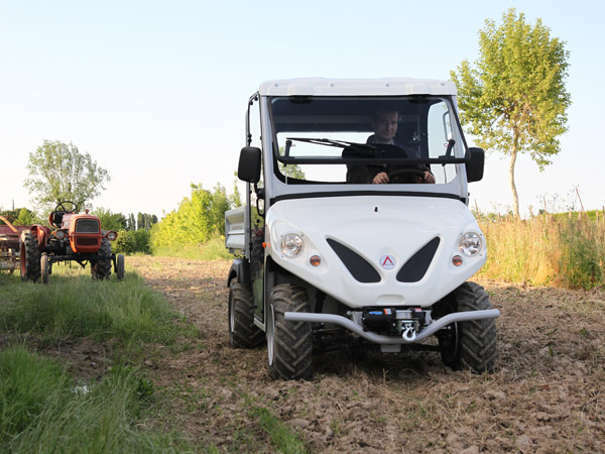 The Alkè ATX electric vehicles are multi-terrain vehicles, they can also tackle difficult terrain for which a 4x4 vehicle would be usually preferred and this is because they have two-wheel drive motors that perform just the same as all-wheel drive vehicles. 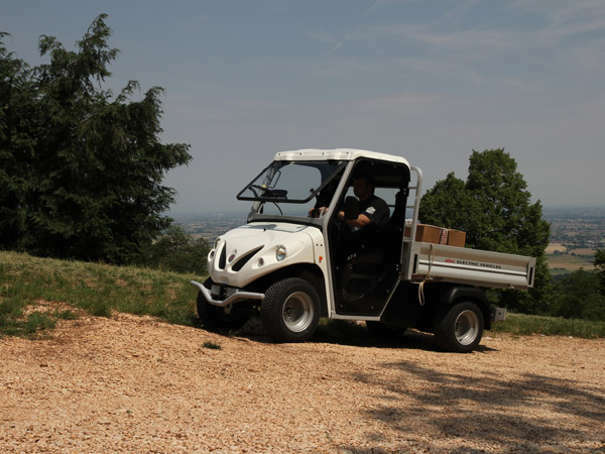 The only ones in their category, the Alkè ATX electric vehicles can handle the most challenging and harsh terrain, and even with two-wheel drive they have the same performance as the 4x4 vehicles in the same category. 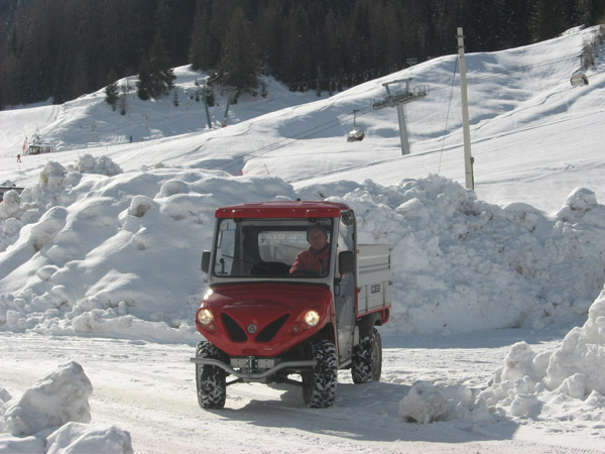 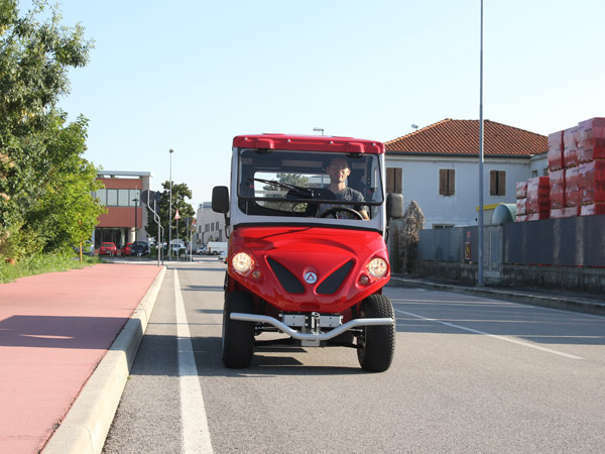 Alkè ATX electric vehicles are extremely versatile, in fact the same vehicle can be used on public roads (type-approved at the European level as a category L7e heavy quadricycle) and on uneven ground, so it is possible to work on different types of ground with a single vehicle, while always maintaining high performance levels. 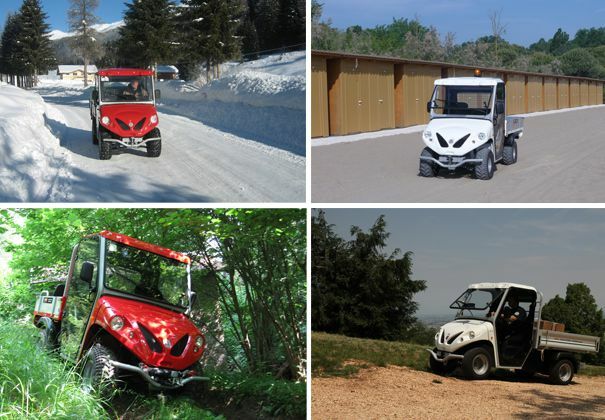 All this is possible thanks to the quality of the construction of these vehicles: all the chassis have been designed and built to withstand extremely high stress, the AC motors have high torque and a gradual power distribution to prevent skidding or loss of adherence also on difficult terrain, the front and rear suspensions provide driving comfort and improved traction on all types of ground, the differential protection to protect the differential and other low parts of the vehicle in off-road conditions. 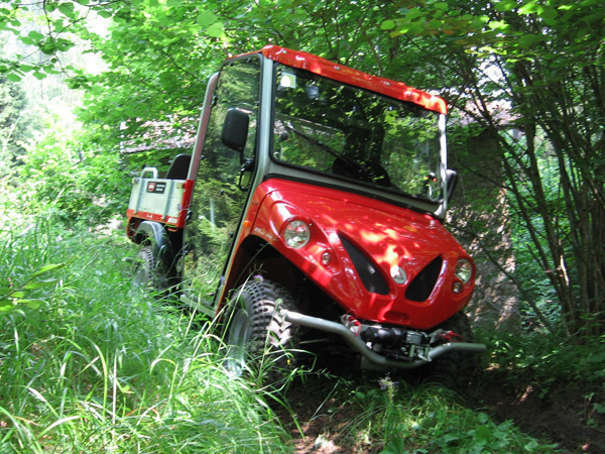 All the technical aspects have been designed to obtain optimal traction even on low grip surfaces. 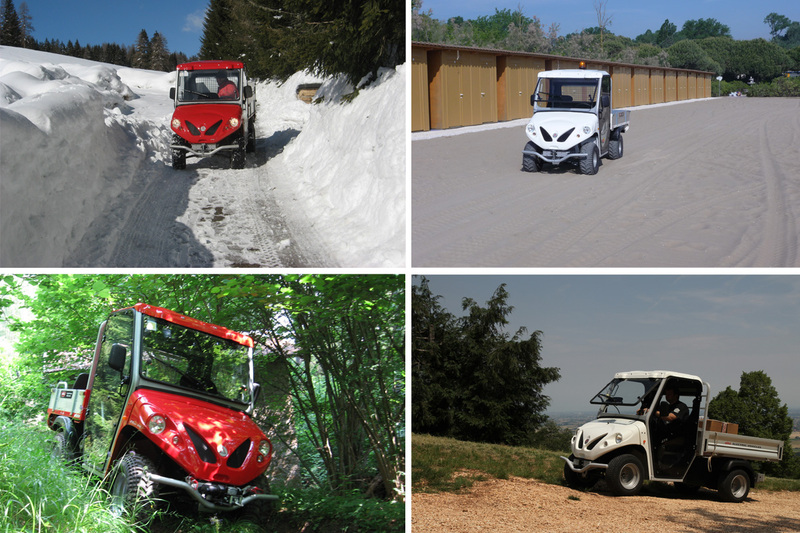 With Alkè electric vehicles for off-the-road driving use you have sturdy, tough vehicles with good traction also on uneven terrain without sacrificing the convenience and ease of driving on asphalt surfaces. 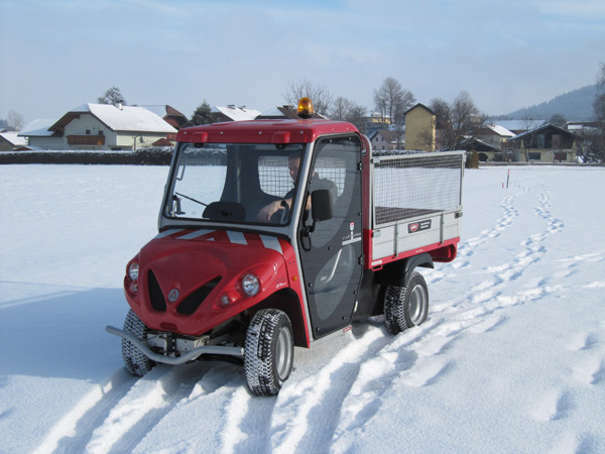 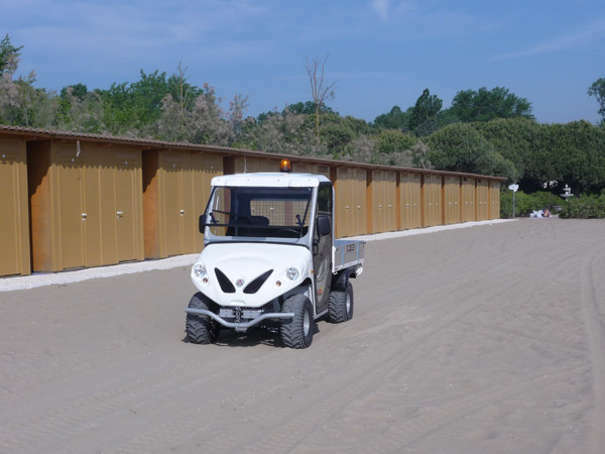 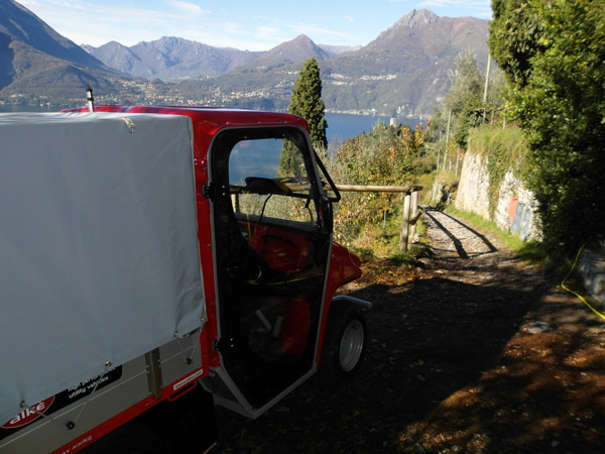 Moreover, thanks to their compact size (127 cm wide) they can easily operate also on narrow paths and in all situations where other types of vehicle would find it difficult to pass.